For function and fashion in the kitchen, the MR Direct 502-18, stainless steel sink ensemble is a premier choice. This grouping spotlights MR Direct's superior 304-grade, 18-gauge, stainless steel sink. Designed with dual bowls of equal size and over an 8 inch depth, it comes equipped with dense, sound-dampening pads and an insulation coating on its underside. 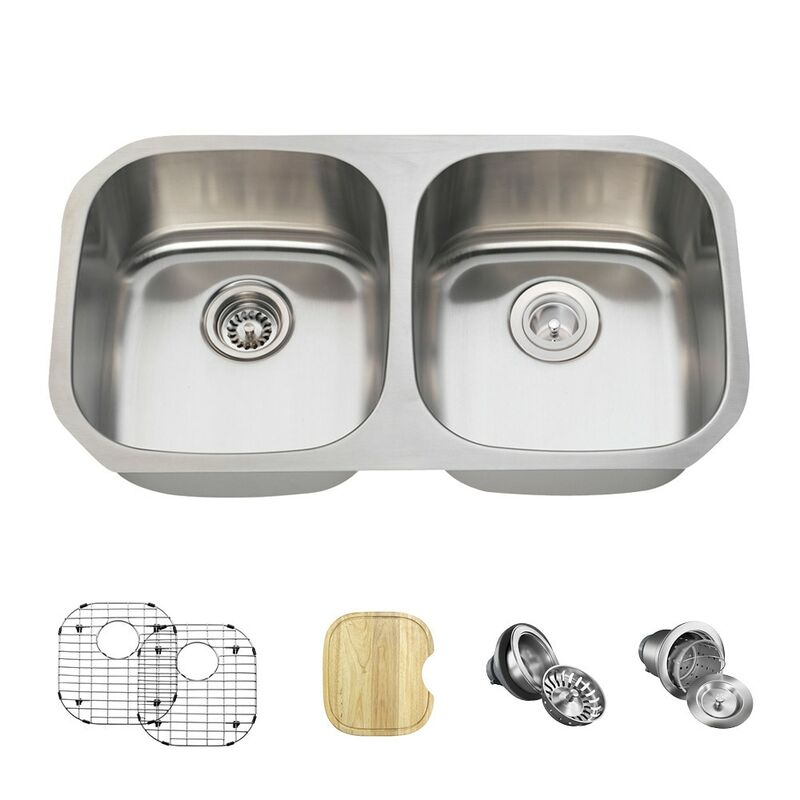 Several convenient accessories are included in this ensemble: a beautiful, natural-wood cutting board, custom-built to fit over either bowl; two custom-designed grids tailored to keep items off of the basin bottoms; and both a standard and basket strainer to catch scrap materials.